Nestled in the southeast community of Sundance, we’re a convenient location for those living in Calgary’s south end. Our location has lots of free parking and there’s a walk-in clinic, dentist, physiotherapy practice, optometrist, Shoppers Drug Mart and spa close by. We are located in the Sunpark Professional Centre on the east side of the street, across from the South Calgary Health Centre. Parking for Mayfair Diagnostics patients is free in the surface lot in front of the Sunpark Professional Centre building. Patients will need to register their licence plate at reception when they arrive. Nancy is a graduate from the Northern Alberta Institute of Technology. She has been with Mayfair since 1986. 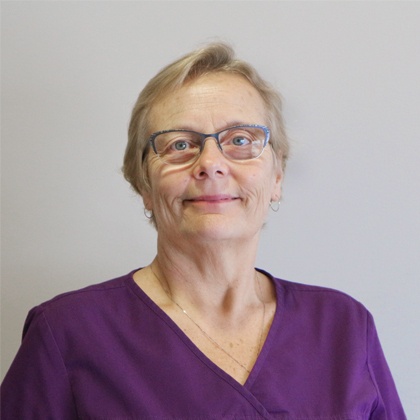 Nancy is passionate about helping people and fascinated with the ever evolving medical imaging field. Aldine has been with Mayfair since March 1999. 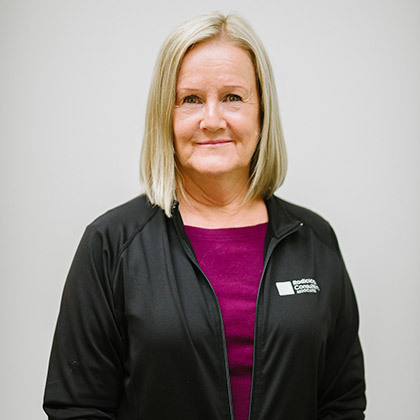 She has been the Clinic Support Modality Coordinator since 2016.